Fairview mayor Ted Tosterud leads local charge to phase out plastic bags in three cities. The cities of Wood Village, Fairview and Troutdale are a step closer to banning plastic grocery bags. Fairview Mayor Ted Tosterud, who has called for a ban on single-use plastic grocery bags, organized a meeting with representatives from each of the neighboring cities on Thursday, Aug. 16, to discuss a three-city ban. While no vote was taken, the majority opinion was clear that a ban should move forward. Tosterud is aiming to pass a plastic bag ban by Thanksgiving. He noted the time frame is a bit aggressive for government organizations — especially if it's a joint effort between three cities, but added that it's time to act. "We haven't done anything about it," Tosterud said. "It's better if all three cities do this." There were rumors spreading online that he was calling to ban all plastics, but Tosterud clarified that he was only calling for a prohibition on plastic grocery bags. Nathan Clark, Multmonah County policy advisor, explained how a plastic-bag ban would work. Clark said there are a few exceptions with most plastic-bag bans. 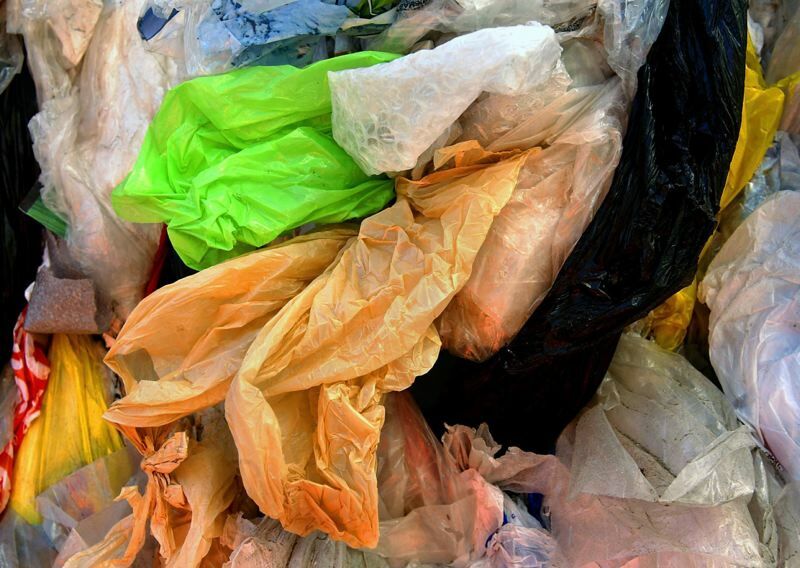 A ban would not apply to plastic bags sold in stores, such as garbage bags or sandwich bags. "No one is trying to take away plastic in your homes," Clark said, adding that bags used to pick up dog waste, which are dispensed at all Fairview city parks, would not be banned. In addition, for sanitary reasons, any ban should not apply to plastics used to package meat or produce. One reason Tosterud is pushing for a bag ban is that plastic bags often find their way into rivers, eventually ending up as part of a growing island of garbage in the Pacific Ocean. Clark explained that plastic-bag waste could have potential health risks, as scientists found microparticles of plastic in fish meat, and human consumption of the plastic microparticles could be carcinogenic. While similar bans drew opposition in several Oregon cities, the dissent usually dissipated after prohibitions were enacted, Clark said. Worldwide, About 100 cities have banned plastic items, with the majority banning plastic grocery bags. For many cities with plastic-bag bans, retailers are required to charge 5 cents for paper bags. In Oregon cities that charge a nickel fee, more customers tend to bring their own reusable bags. A fee encourages more reusable bag use while helping retailers make money from the bag fee. Metro Councilor Shirley Craddick attended the Aug. 16 meeting, and said Metro regional government is exploring the idea of banning plastic grocery bags in the Portland metropolitan area. A few councilors questioned if the three cities should ban bags if Metro is going to pass an overarching bag ban anyway. Craddick responded that having small cities pass measures helps Metro set policies. Wood Village City Councilor Scott Harden said small-city policies are important. "We have to disavow ourselves of the notion that we're small and don't matter," he said. Harden said that people in the future won't reflect on how they didn't get cancer because a few small cities in Oregon banned plastic bags, but city representatives will know that. Troutdale City Councilor Randy Lauer said there are bigger issues that the cities could focus on instead of plastic bags. "There are more problems than plastic bags," Lauer said. "Maybe we should think of it from a different angle." That approach could consist of providing more education to shoppers about the harm of throwing away too much plastic, or providing incentives to consumers who bring their own reusable bags. At the meeting's conclusion, Tosterud recommended that two representatives from each city form a committee responsible for coordinating a ban.